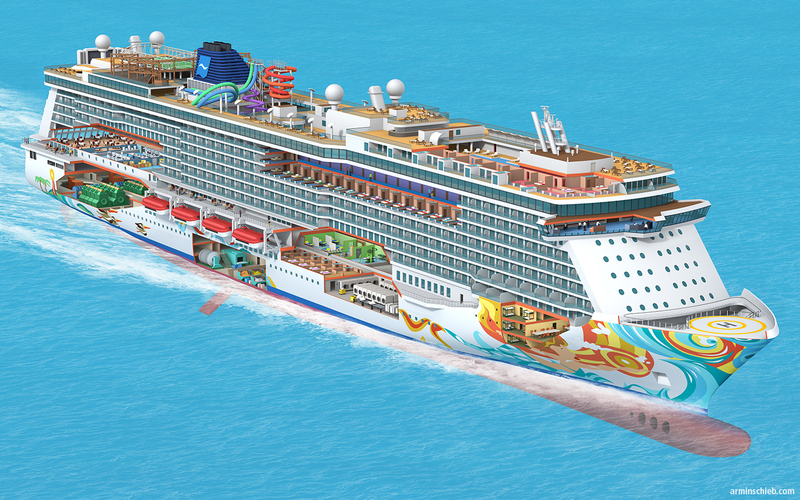 A quite complex 3D model of the Norwegian Getaway. I build it for the Frankfurter Allgemeine Zeitung. 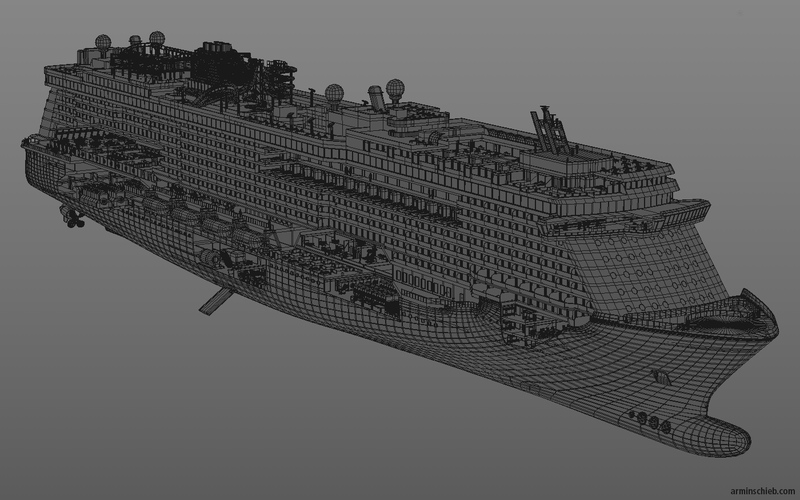 I also had to cut several parts open to show the bridge, luxury cabins, normal cabins, crew cabins, restaurants, medical center, waste disposal and laundry. The rooms are not very accurate since there are very few technical information about the ship. But their position in the ship is correct. A wireframe of the model. I needed 12 days to create it.